POST YOUR COMPANY-Get New Business! ACV Vending Services provides a full line of vending machines in your place of business FREE, and donate proceeds to your favorite charity! Types of Machines: Snack, Soda, Bottled Water, Coffee, Food, Healthy Vending Machines, High quality machines and products with excellent service. Call 1-515-271-8382! Charitable Vending Website. Serenity Boyd, LLC – We bring in vending machines and service them. You DON’T have to WORRY about anything. 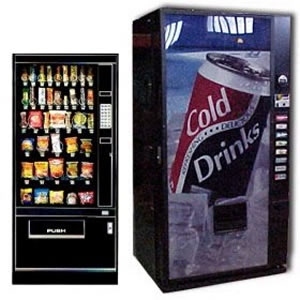 We offer Full Service SNACK and SODA Vending Machines. Serenity Boyd can place FREE VENDING MAHCHINES in your specialty Business, Office, Warehouse, Gym, or School. Also, we can place the products you like in these Snack & Drink vending machines. If your business is in Salt Lake City or Provo Areas we can service your vending machines! Call today at 435-459-4601. WE BELIEVE IN A UNIQUE AND CUSTOMIZED VENDING SOLUTION FOR YOU AND YOUR COMPANY. 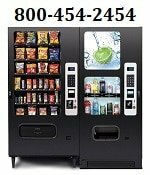 YOUR #1 SOURCE FOR QUALITY VENDING IN UTAH.